Governments use them to sell everything from oilfields to pollution permits, and to privatize companies; consumers rely on them to buy baseball tickets and hotel rooms, and economic theorists employ them to explain booms and busts. Auctions make up many of the world's most important markets; and this book describes how auction theory has also become an invaluable tool for understanding economics. 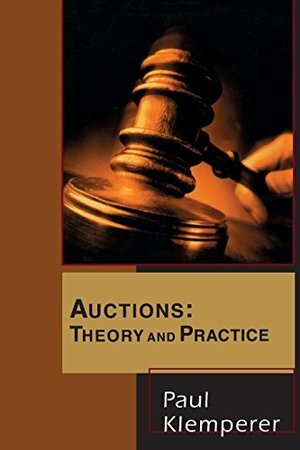 Auctions: Theory and Practice provides a non-technical introduction to auction theory, and emphasises its practical application. Although there are many extremely successful auction markets, there have also been some notable fiascos, and Klemperer provides many examples. He discusses the successes and failures of the one-hundred-billion dollar "third-generation" mobile-phone license auctions; he, jointly with Ken Binmore, designed the first of these. Klemperer also demonstrates the surprising power of auction theory to explain seemingly unconnected issues such as the intensity of different forms of industrial competition, the costs of litigation, and even stock trading 'frenzies' and financial crashes. Engagingly written, the book makes the subject exciting not only to economics students but to anyone interested in auctions and their role in economics.